… impressive new court complex … located at the heart of the City of London on Fetter Lane and is the largest specialist centre for the resolution of financial, business and property litigation anywhere in the world. The Secretary of State has good reason to promote English law as international commercial dispute resolution is a significant export earner. One example of the of the type of litigation the Government is so keen to host in the English courts is the recent dispute between Russian billionaire oligarchs, Roman Abramovich and Boris Berezovski, over control of the Russian oil industry, and a number of similar Russian cases are due to be heard within the next few months. Abramovich’s QC Jonathan Sumption is known to have made at least £3 million in legal fees, and seemingly on the back of this great achievement has become the first QC since 1948 to be promoted directly to the highest court in the jurisdiction, the Supreme Court. But while the bourgeoisie are being welcomed with open arms to experience the benefits of British justice, those who have little means and, in many instances have been victims of the very State that promotes justice for the rich, are going to find it a lot more difficult and in some cases impossible to get any justice at all. 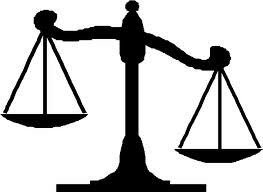 On 1 May 2012 the Legal Aid Sentencing and Punishment of Offenders Act was passed. This means in April 2013 there will be massive cuts in the scope of civil legal aid. The areas that will be cut are those that have the greatest significance for workers, both employed and unemployed and those with disabilities. The areas of law being cut include employment disputes (unless there is a discrimination), debt (unless repossession of the home is imminent) and welfare benefits advice. If you suffer injury at the hands of the NHS there will be no legal aid for clinical negligence claims and you will be left to find a solicitor who is prepared to accept the risk of representing you on a ‘no win, no fee’ basis. These cuts will reduce the legal aid budget by just under a quarter, but perhaps more significantly will deny the poorest sections of society access to redress against the decisions of the State that affect them. The cutting of legal aid for welfare benefits advice comes at a time when major changes to the benefits system are being implemented and those who fall victims to the State’s attempt to deprive them of benefit or even just the inevitable bureaucratic chaos that ensues from changes to the system, will struggle to find any assistance to challenge the DWP’s increasingly arbitrary decisions (see article on Workfare in this issue). Similarly employers will know that they can flout what remains of the employment protection laws with little risk of any comeback. These legal aid cuts are a direct attack on the working class. Just as the Government is making it more difficult for us to challenge its decisions it is also planning to increase its control over us and further restrict the supposedly cherished ‘liberties’ that are said to characterise the ‘democratic’ state. In the next Parliamentary session the Government is planning to introduce legislation that will allow the State to monitor all e mails and to hold court hearings in secret where evidence provided, for example by one of the security services, is deemed to pose a national security threat if revealed. The e mail monitoring proposals are similar to those previously mooted and then withdrawn by the last Labour Government… so much for the Conservatives ridiculous claim to be the party of freedom for the individual, unless of course it is freedom of the individual to economically exploit others. The predictable outrage in liberal circles and also by some on the Right (even the Daily Mail!) illustrates how the importance of maintaining the idea of individual liberties is greater than its substance. This is of course always in order to preserve the legitimacy of bourgeois democracy. In some ways the e mail issue is a red herring as far as revolutionaries are concerned. For years the State has covertly tapped the phones, e mails and Skype conversations of militants, and in that respect it seems pretty irrelevant that the State now wants to do this legally. One significant difference would be that if this type of snooping is legal it would make it easier for evidence obtained in this manner to be used in court, although again that’s not so important as in British courts there is no absolute bar on admitting illegally obtained evidence. The proposals for secret court hearings are perhaps more worrying although even this is not unprecedented in the UK. Hearings of the Special Immigration Appeals Commission (SIAC) Tribunal deal with deportation hearings against individuals who allegedly pose a national security threat. Not only are the proceedings heard in private but sometimes even the defendant is not allowed to know the evidence against him or her. There is huge potential for miscarriage of justice where trials are held in secret as there is no accountability for the behaviour of the prosecutor or the judge. If this system were to be extended to other courts it would be an extremely worrying development which could be used to deal with anyone deemed to be a ‘threat’ to the State, just like Stalin’s Russia, Hitler’s Germany and myriad ‘Third World’ dictatorships. The dictatorship of the bankrupt bourgeoisie drags on and on, and plunges daily into newer and dismaler depths of degradation for all those it exploits. The only good thing to be said about this particular monstrosity is that very soon there won't be any NHS left so that injury at its dying hands will be unlikely. Hope the snoopers take the point! in British courts there is no absolute bar on admitting illegally obtained evidence. Forreal? Like they can just break the law and the evidence is still admissable? In the USA this happens in practice but technically it is illegal. Yes Sandman that's pretty much the case. In English law illegally obtained evidence is basically admissible although the judge has a discretion not to admit it if this would create unfairness. So evidence that is obtained through torture would probably be inadmissible because it is unreliable, would result in an unfair trial. However evidence obained via an unauthorised phone tap would probably be admissible because it is likely to be reliable evidence.